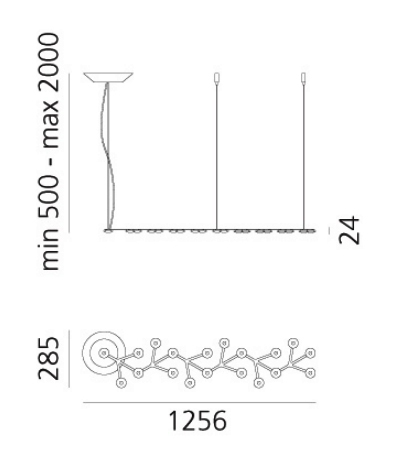 ARTEMIDE LED NET LINE 125 SUSPENSION is a lamp. It’s a sectional unit that enables elements to be added (supplied as special project). Integrated LED not replaceable, 3000K, 45W, 2530lm, CRI=80. Dimmerabile (Push).